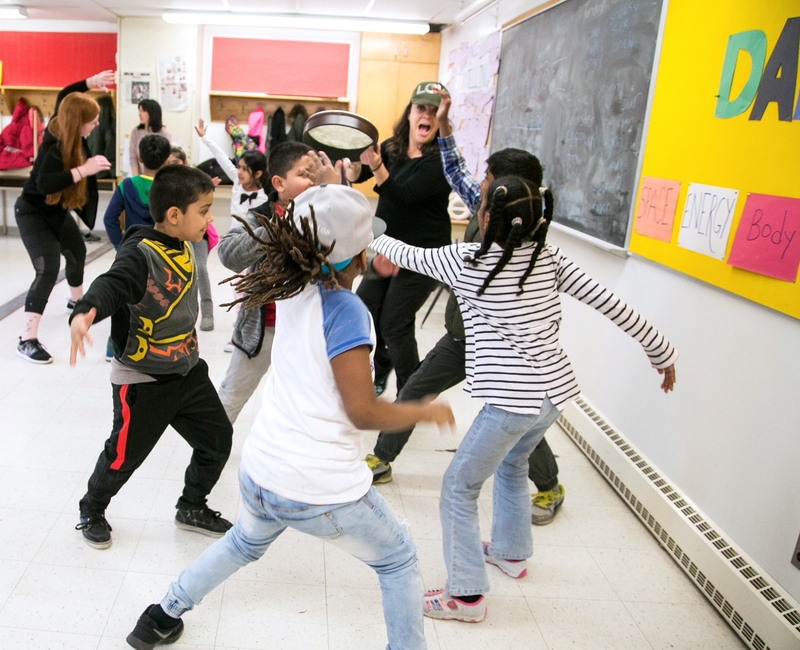 An Interdisciplinary program with Inner City Angels visual artists: Pria Muzumdar, Moojan Nazmi and Paul Walty (in French) and dance with Sarina Condello and Bailey Davis from Mariposa In The Schools. What difference do we make in the world? What difference does it make if we don’t get involved or step up to an injustice. How much difference can one individual make in the wellbeing of a greater community, or in society in general? Heard of the Butterfly Effect? The scientific theory that the flap of a butterfly’s wings in Brazil could set off a tornado in Texas by creating tiny changes in the atmosphere that could accelerate or even prevent the tornado. Understanding the Butterfly Effect in nature and in social encounters and using it in our daily lives gives us a rare empowerment. With storytelling, spoken word, dance and mixed media we can examine one single choice and action that can impact our wellbeing and the world. And…we can learn a little about this well-known scientific theory. An interdisciplinary program conceived and led by Inner City Angels visual artist and designer Pria Muzumdar and with Mariposa In The Schools dancer-choreographers Sarina Condello and Bailey Davis. Here we examine the universal presence of constructual flow seen in successful natural and social organizations and discover how these tree-like structures have core strength, are rooted with organic branches or split patterns that can adapt to environmental conditions. We can compare tree branching to our circulatory system, rivers, etc., and then to other social organization schematics such as families, schools, networks, communities and neighbourhoods. We can create a collaborative social system inspired by how nature ebbs and flows. Artwork is mixed media with colourful illustrations and paint. From puddles to pebbles, oceans to mountains, children are surrounded by rocks and water no matter where on the earth they live. Drawing on both original and traditional songs, students sing along with Chris as they learn about the changes that occur when the forces of nature are applied to rocks and water, the significance of water on our ecosystems and ultimately our wellbeing.